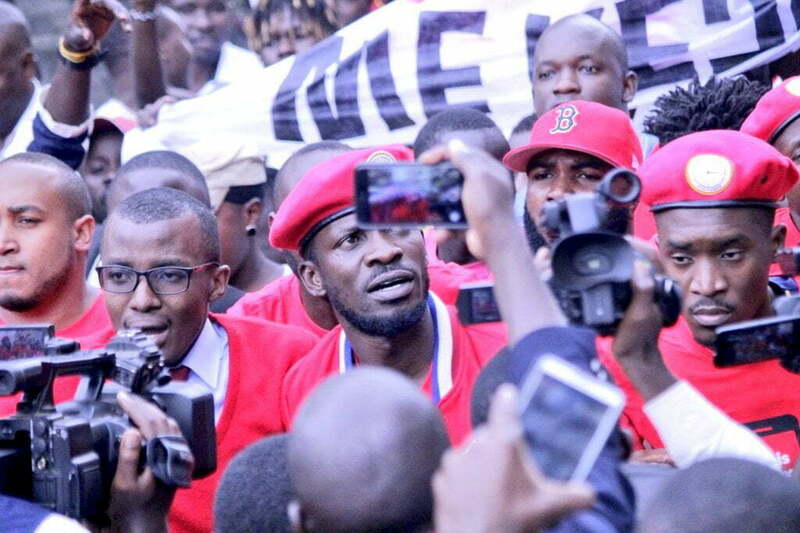 A demonstration against the social media tax led by Kyadondo East MP Kyagulanyi Ssentamu was broken up by police Wednesday morning. Police fired live bullets and teargas at activists demonstrating against social media and mobile money taxes. 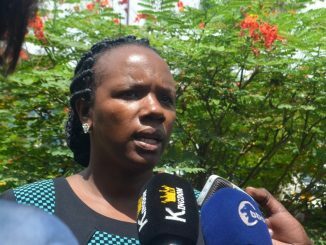 The government introduced a 1 percent tax on each mobile money transaction and a 200 shillings tax on social media also known as Over the Top (OTT). This morning, activists led a demonstration starting from Mini-Price in Kampala up to the constitutional square. 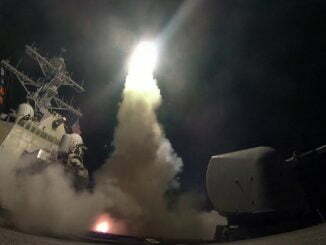 They were however intercepted by Police in front of Mapeera House. The demonstrators donned in red clothes were supposed to start their procession from the constitutional square. 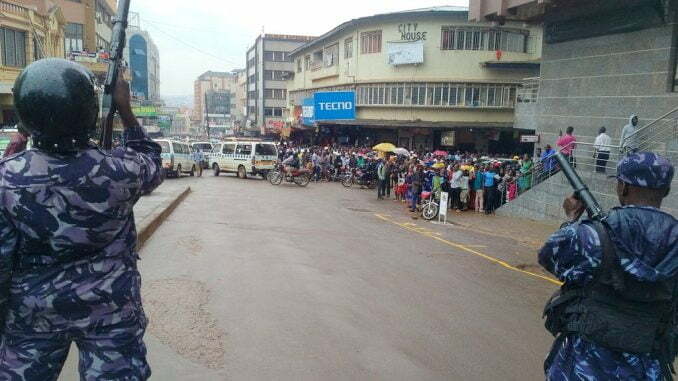 However, police led by Joseph Bakaleke, the District Police Commander Central Police Station sealed off the area and fired live bullets and teargas to disperse the protestors. Kyagulanyi was then forced into a waiting police car. A fight ensued for close to four minutes as police battled the activists who wanted to block Kyangulanyi’s arrest. The protesters overpowered police, and together with the legislator, they ran back to Mini Price. Joel Senyonyi a journalist who was part of the demonstration, says that they wrote to police seeking permission. He explains that police received the letter but did not respond. According to Senyonyi, they will assess the situation and see how they can continue exerting pressure on the government to scrap the tax. Sadam Gaira, the Vice Chairperson of the Peoples Progressive Party (PPP), says they will not accept unfair taxation by the government. Hillary Kiyaga, alias Dr Hilderman, a musician says they are fighting for the many Ugandans who are being oppressed.